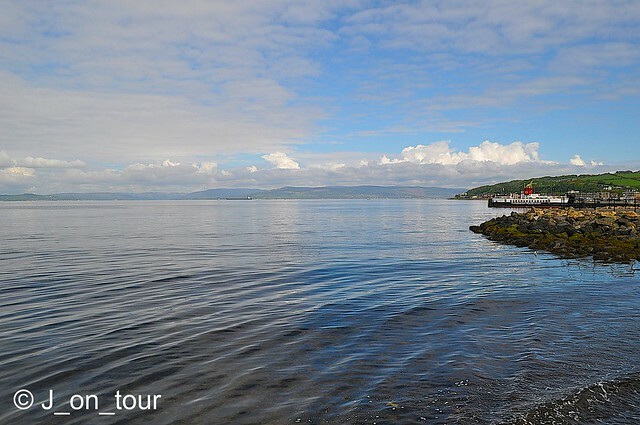 On day 2 of my North Ayrshire based trip, the weather looked favourable to pursue an outdoor activity highlighted in the next post, so Largs became the primary destination for this day out. 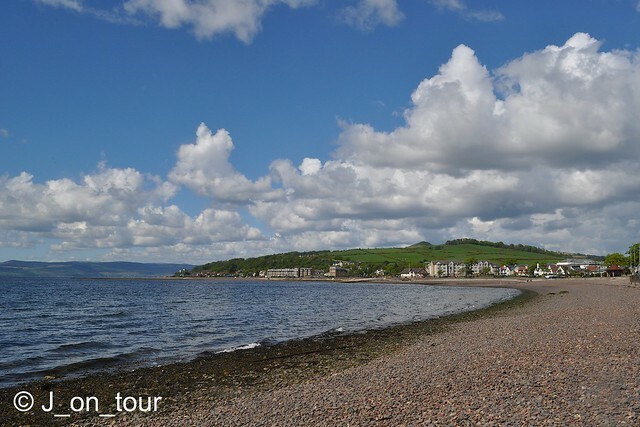 Largs is situated downstream on the Firth of Clyde about 33 miles from Glasgow. 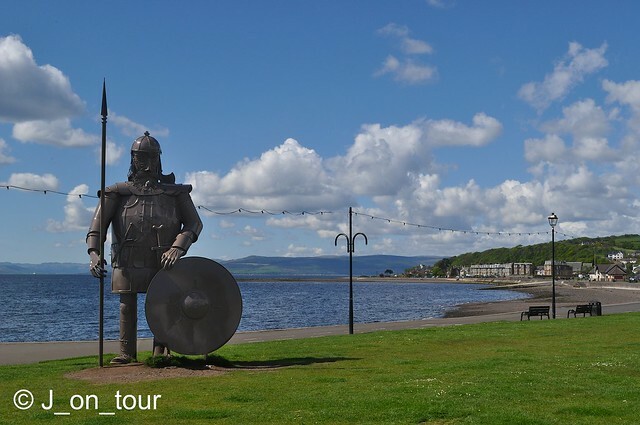 The town has historic Viking links as a result of The Battle of Largs in 1263 when the Norwegian invaders failed in their campaign. In more recent military times, it was the scene of a conference that planned the successful Normandy Invasion of World War II. 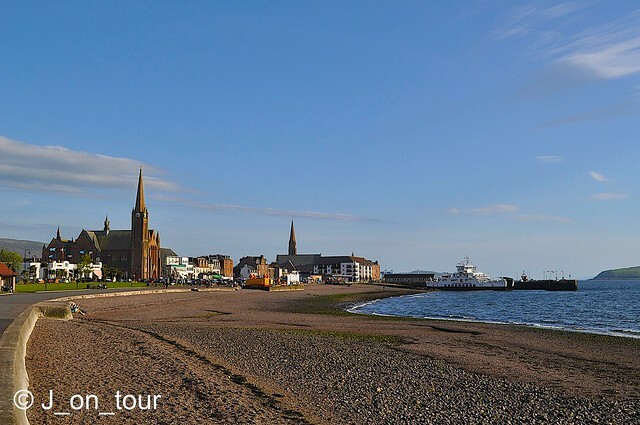 From small beginnings, Largs became a fashionable seaside resort during the mid nineteenth century with the construction of hotels and a Pier to import the rich and famous on the Victorian Grand tour. 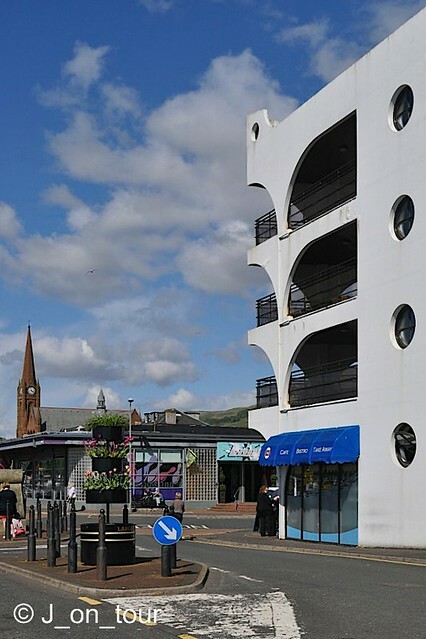 With the passage of time, Largs is a much sought after place to live thanks to the later arrival of the railway and reasonable commuter times into Glasgow. 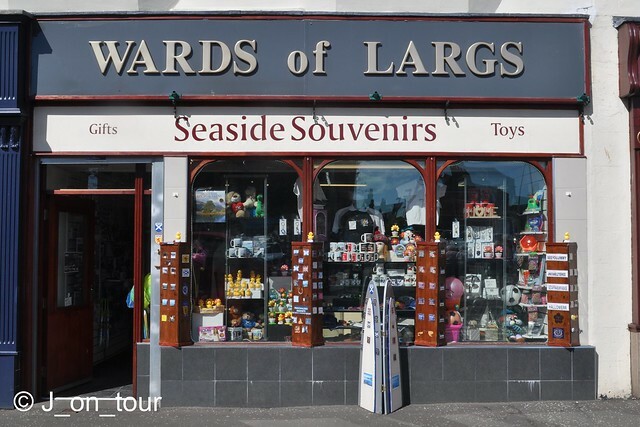 For the British tourist, Largs isn't thought of much as a destination or an accessible town in Scotland when I tell you you that it's been 28 years since I last visited it albeit briefly. 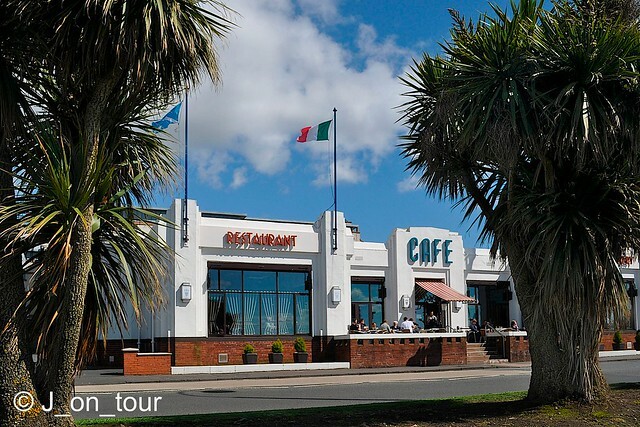 Many resorts around Great Britain suffered in the latter part of the 20th century due to erratic weather and cheap Mediterranean flights with most having some weapon to fight back in the 21st century. The fighting spirit that conquered the Vikings continues in the town with an unlikely weapon of an Ice Cream shop. 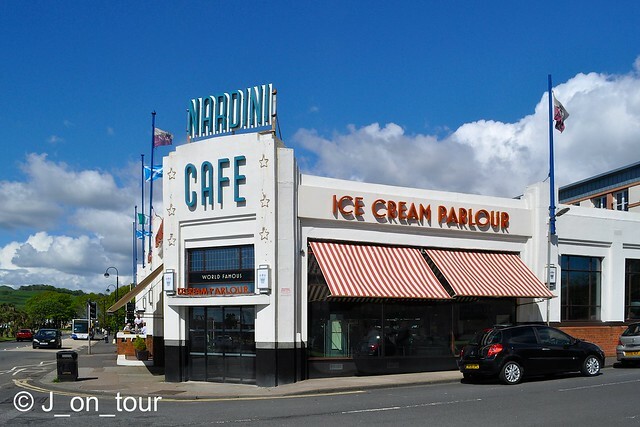 Nardini's Ice Cream parlour originally opened in 1935 as the largest restaurant in Great Britain. 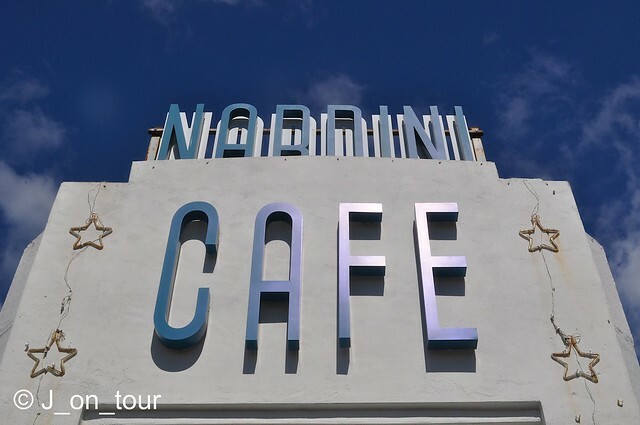 The Art Deco building was refurbished and re- opened in 2008 under new management after a four year closure and a long running family business feud. 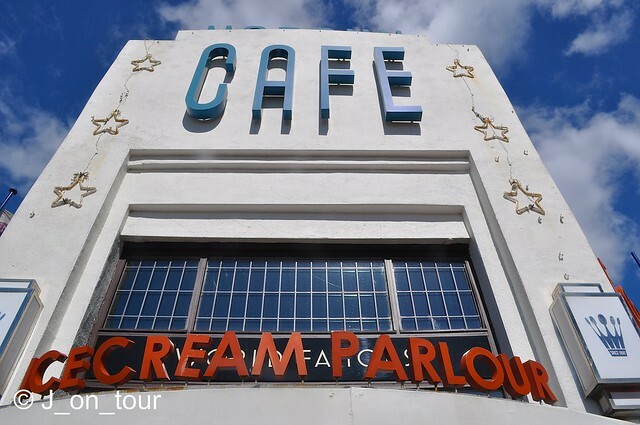 The Restaurant gets mixed reviews on Trip Advisor for several reasons but if it's just an Ice Cream in a cone you want to take out of the shop, I'd certainly travel an hour to sample it again. 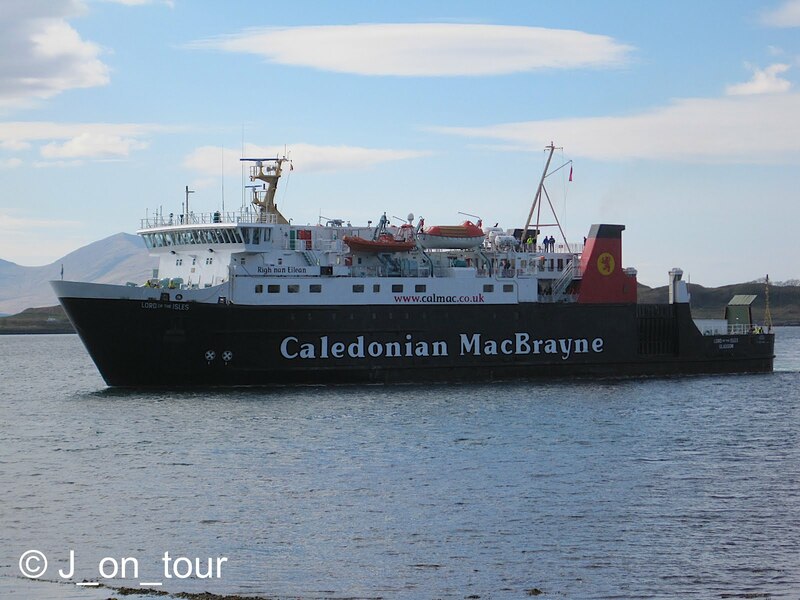 As I mentioned earlier, it has been some considerable time since my last visit here, so I shouldn't have been surprised to see the earlier depicted M.V Loch Striven supplemented by a newer ferry. Although maybe not as aesthetically pleasing to the eye, M.V. Loch Shira seems to be a lot more substantial. 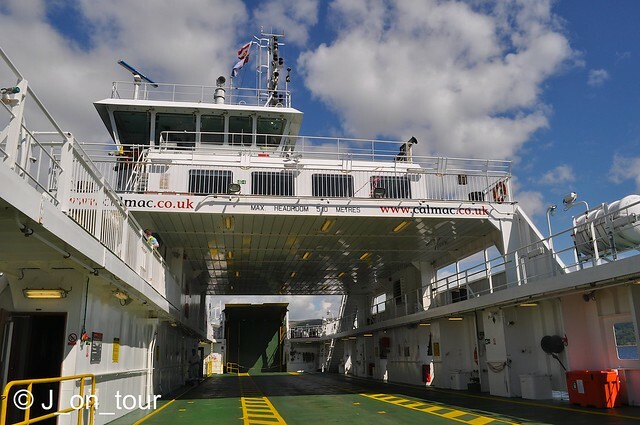 With a speed of 10 knots, the 54 metre long ferry can carry 36 cars and 250 passengers but congestion issues on a busy road may have curtailed this figure to a much more practical 24. 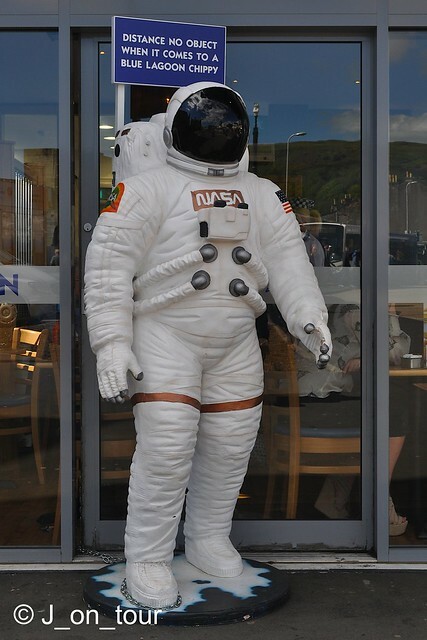 Do people travel from all over the world .. and Universe to sample the Largs Fish and Chip shops ?! 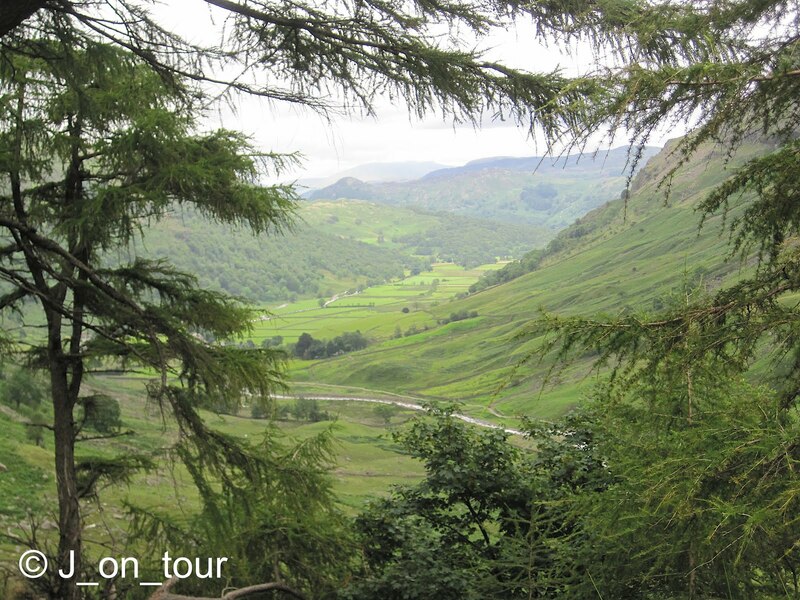 Great tour and photos. There is a real quality to your photographs. 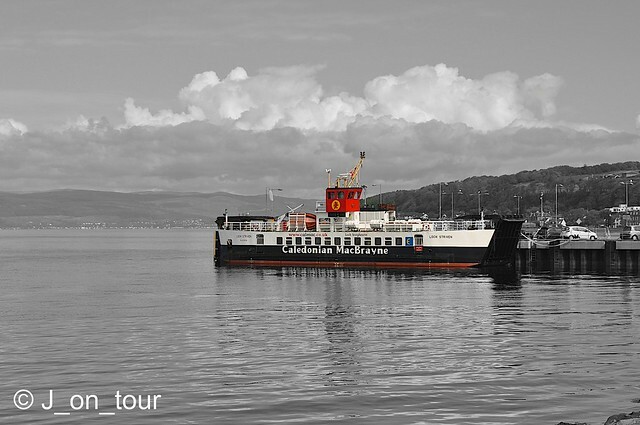 I know Largs a little, because it's a favourite of the current Mrs B's. It has an elegent-ish stuck in past time feel about it, I think. Famous battle, of course - though I didn't know about its WW2 connection. Hmmm - pretty obscure advertising! Thanks Mike, I can count on one hand how many times I've been to Largs and twice in three days, called in for a meal later in the week. With hindsight and a bit of research I only wish I captured the large buildings that would have been the Victorian Hotels at the south end of the town, I was concentrating more on M.V. 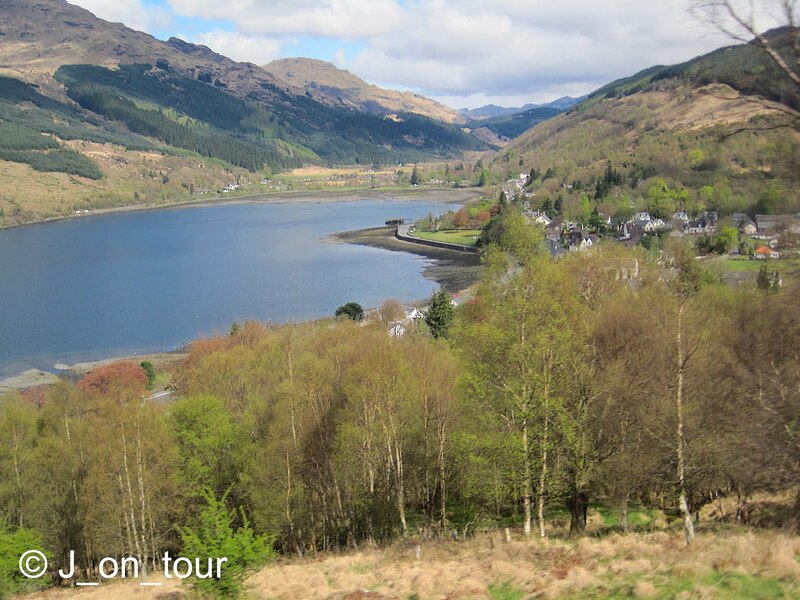 Loch Striven at the time. 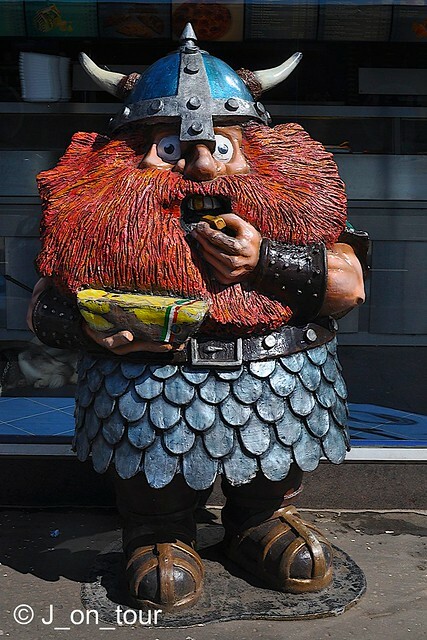 I think the Blue Lagoon Fish & Chip shop are thinking outside the box to compete with their rivals The Viking. Yet another great tour. One day I truly hope to visit your country. I lived there as a child, as my father was in the Air Force. My favorite photo is the fifth, with the ship in a bit of black/white shading. Thanks Michelle, many people think that I am pressurising folks to come my country. 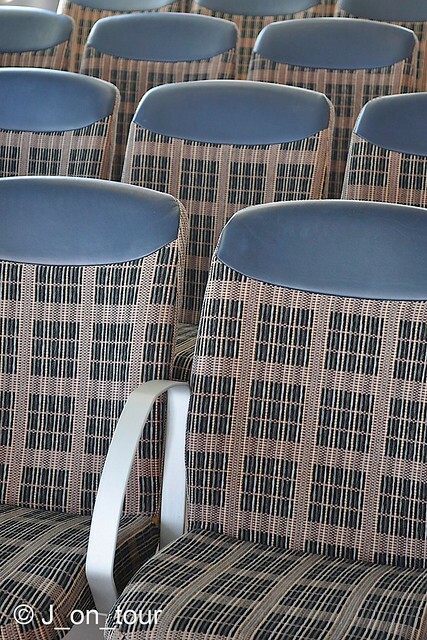 On the contrary, I am just depicting what viewers haven't seen before. It can be tiresome to think that the UK is only London, Big Ben and the Queen :-) It's my role to prove otherwise ... haha. I've another black / white with a colour wash in the next post very soon. A nice series of photos as always. 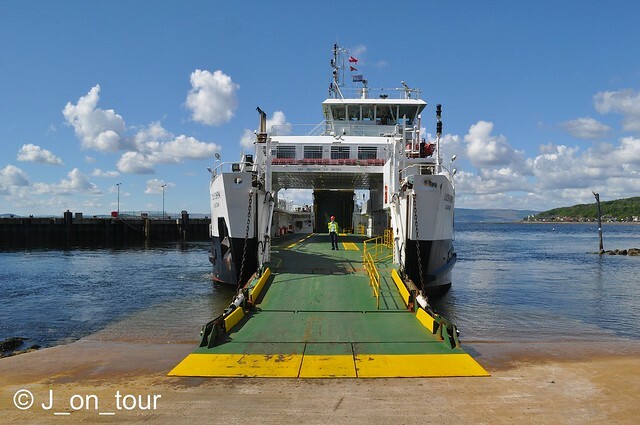 It is interesting to hear about Largs it is a place I had not heard of before. It certainly has some strange statues!! 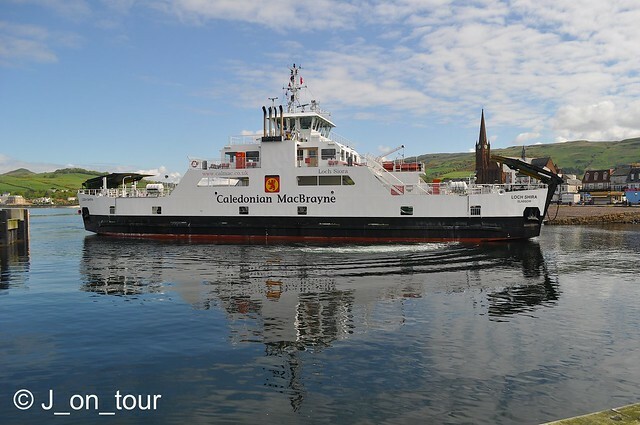 Thanks CherryPie, I must confess I probably would never have heard of Largs either if my parents hadn't come from the outskirts of Glasgow or liked to spend holidays by the Firth of Clyde. Thanks Ola, holiday season will soon be here. 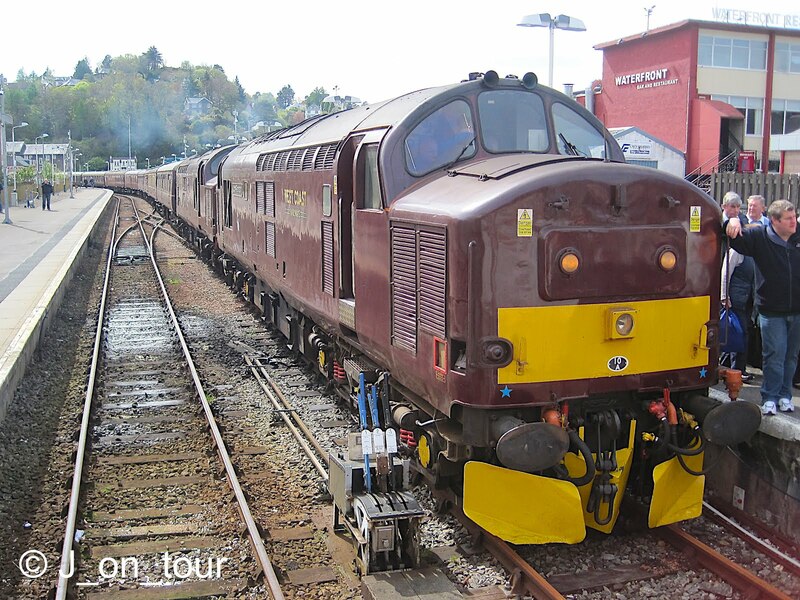 If you can't wait, have a look at some of the scenes from the next post very soon, an amazing day out. Excellent as always. I used to spend a lot of time in Largs. I never took much notice of the town but will give it closer attention next time. 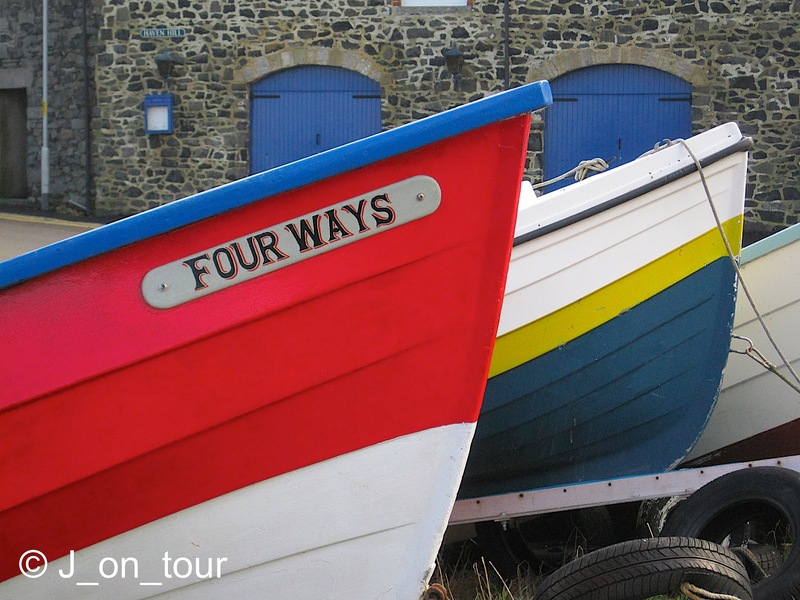 Thanks Adrian, not much to photograph really, 5 shops, 2 boats, 3 statues and a bay. Wish I'd given the War memorial and the surrounding large Victorian houses more attention rather than the carrot and stick of Calmac and an Ice Cream. 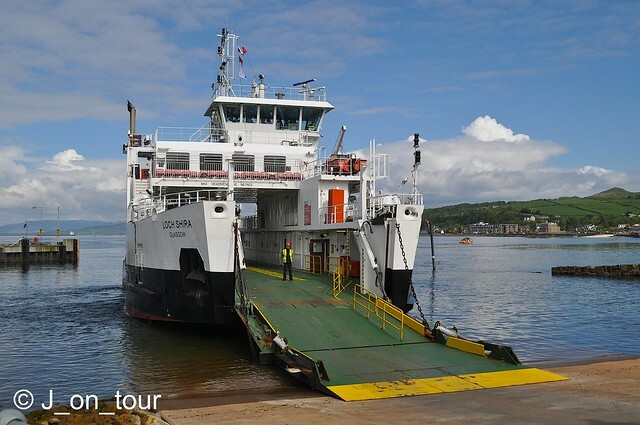 Largs seems to be an interesting place and I'm looking forward to your next destination. Thanks Petra, I couldn't not photograph the Vikings. I knew the chip eating Viking was going to be my final comedy shot when I captured it at the time. A few more shots of M.V. Loch Shira in the next post coming soon. Stunning light! What a great trip with so much eye candy to drink in. For your spam question, I had a spate of really persistent spammers and went for the comment moderation for posts that were over 7 days old, then just delete them when they appear in my in box. It's working... at the moment! Thanks Chel, there was a reason that I chose this location on the best day of the week, it was for the next post (in the afternoon). I've taken on board what you said about comment moderation, been dealing with spam pop up websites within the blog. After much forum seeking and website hunting, it turned out to be a motigo stat widget that was to blame. A cup of strawberry cheesecake, please! What a nice trip and good photos you brought back from there! Have a nice weekend, J_on_tour! Thanks Traveling Hawk, Strawberry Cheesecake Ice Cream, you guessed correctly :-) Unfortunately they didn't have that flavour when I passed by a few days later. I think that last fella is one of Mr. C.'s ancestors! The photos are beautiful, love the clouds and choppy waters, and the connection to the Normandy Invasion. So how many ice cream samples did you get? ;-) Next time, ask for New York Cherry Nut. Thanks Cranberry Morning, the Viking had to be photographed much to the amusement of those in the shop and passing by. You'd be amazed at the selection of Ice Creams in there. 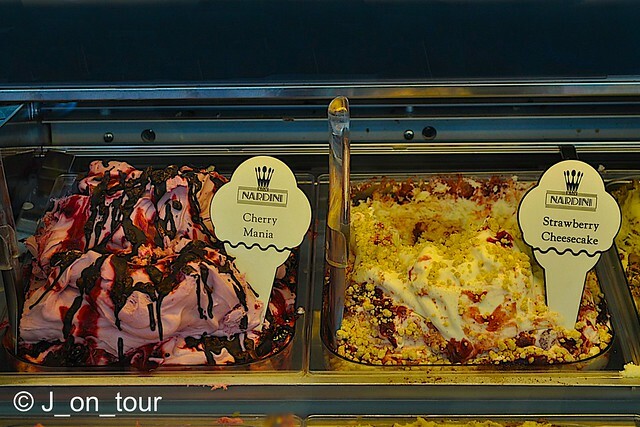 There were some traditional Scottish flavours and even a gingerbread man ice cream !